In "Grace and Prosperity with Kundalini Yoga", Nirvair Singh presents a wonderful kriya as a preparation for deep meditation. 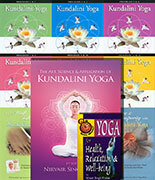 It is a fun and effective series that will create balance, elevation, relaxation and grace. This is followed by a prosperity meditation to reduce all negativity, past and present, smooth out day-to-day problems and create a positive tomorrow. 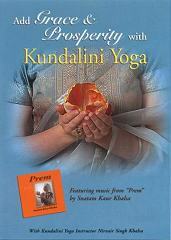 Uplifiting and healing mantra/music by Snatam Kaur from her beautiful CD "Prem".